Following the completion of Merrick Manor, developer The Astor Companies is offering a special price for an elegant two-bedroom, two-bathroom residence – but only for a limited time. 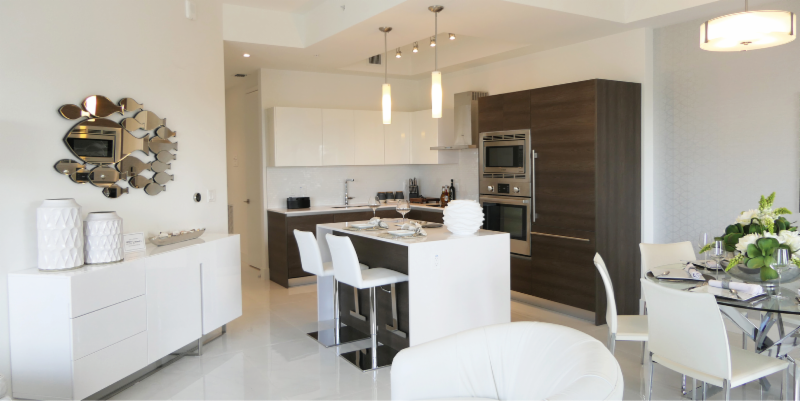 Residence 604 has 1,075 square feet under air and two balconies totaling 106 square feet. This stunning residence includes finishes of the highest quality, built-in Bosch appliances and Grohe and Duravit fixtures. It is yet another example of how Astor is delivering a combination of luxury, location and value that cannot be found elsewhere in Coral Gables. From now until April 19, 2019, Residence 604 is available for $679,990 (reduced from the $699,990 list price). Do not wait – take advantage of this unparalleled opportunity today! Mortgage rates might be down at the moment, but they will only rise going forward. For buyers, this means the time to buy is now. The Agency Collective is exclusively handling residential sales at Merrick Manor. For more information, call the Sales Gallery at (305) 779-6870. Located at 301 Altara Avenue, Coral Gables, FL 33146, the 10-story, 227-residence Merrick Manor is just steps away from the luxurious Shops at Merrick Park. Between the building’s amenities and the shopping, dining, entertainment, golf courses and art galleries nearby, the Merrick Manor lifestyle truly cannot be beat. Building amenities include 24-hour valet parking, 24-hour front desk concierge service, lobby lounge area, Parcel Pending lockers, a business center with four computer-ready desks and multimedia screens for presentations, a club lounge and news café lounge on the fourth floor, state-of-the-art fitness center and resort-style pool with barbecue gathering areas. The lobby and fourth floor amenity areas are equipped with fully functional Wi-Fi. To learn more about the residences at Merrick Manor, visit the Sales Gallery at 4200 Laguna Street, which is located directly across the street from the building. For commercial and retail opportunities available at Merrick Manor, contact Roza H. Radkiewicz of Astor Real Estate Group at (305) 779-5672 or (786) 218-8322 or email roza@astorcompanies.com. Additional information about can be found by visiting www.merrick-manor.com or emailing info@merrick-manor.com.